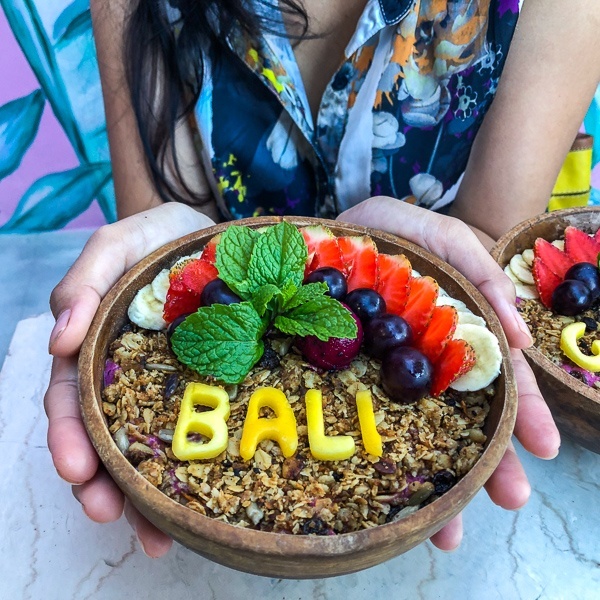 In Bali, food is art, and this is especially true with the fresh fruit smoothie bowls. 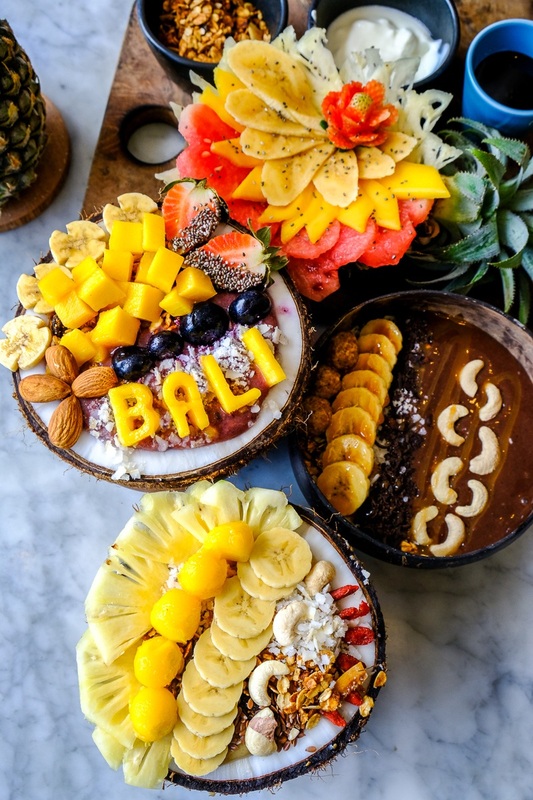 You can find them just about anywhere in Bali, and the prices are usually very reasonable compared to western countries. Here are 10 of my recommendations! 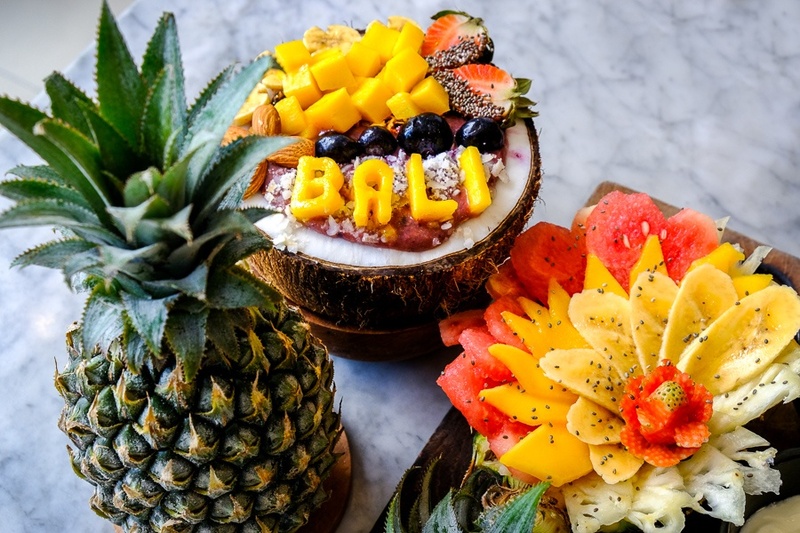 Nalu has 4 locations in Bali. I’ve only tried the one in Uluwatu, but it was fantastic and I’m sure the others are as well. You can add extra toppings like blueberries, raspberries, and more. 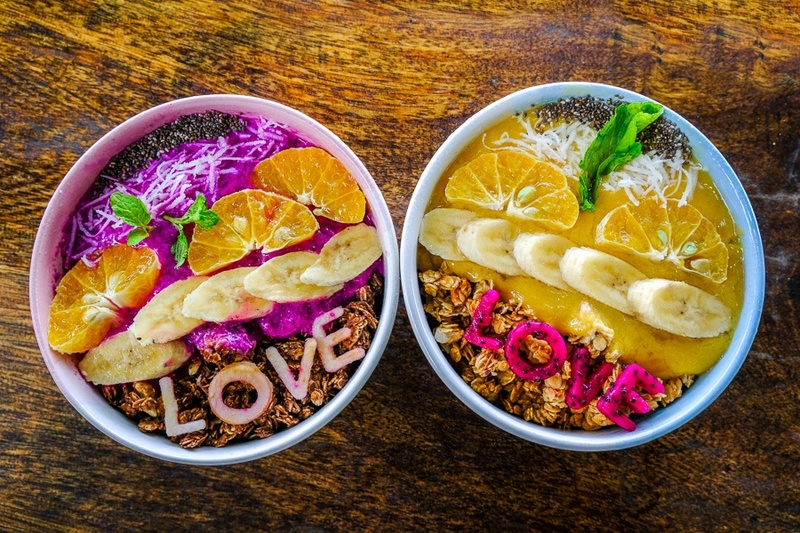 Kynd is well known for being able to use mango letters to write whatever you want on your fruit smoothie bowl. Marketing genius! There’s no extra charge for doing this, either. These are hands down the best fruit smoothie bowls I’ve ever had, anywhere. They’re also insanely artistic. The only place I’ve been that can even come close is Shaka Siargao, in the Philippines. Nook is another option in the Kerobokan area, overlooking some rice fields. They have 5 different fruit bowls on the menu. 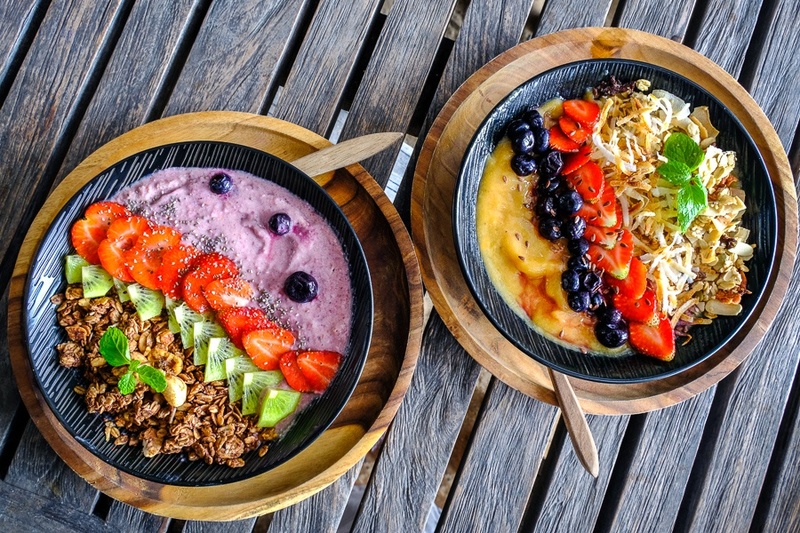 Just before you turn onto Monkey Forest Road is this awesome Asian grill place, with 5 different types of fruit smoothie bowl. The grill smells amazing, and the fruit bowls are great too. This is another good option on Monkey Forest Road. 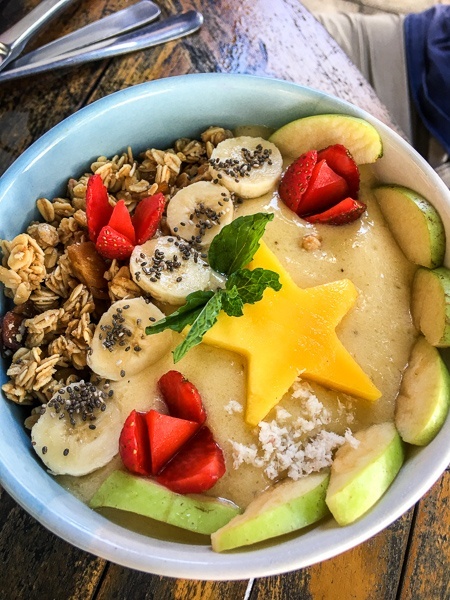 Their customer service is on the slow side and needs some work, but the smoothie bowls are on point. They have 5 smoothie bowls. If you ever stay in north Sanur, you have to pay a visit to The Owl. The food is great, and the prices are just amazing. 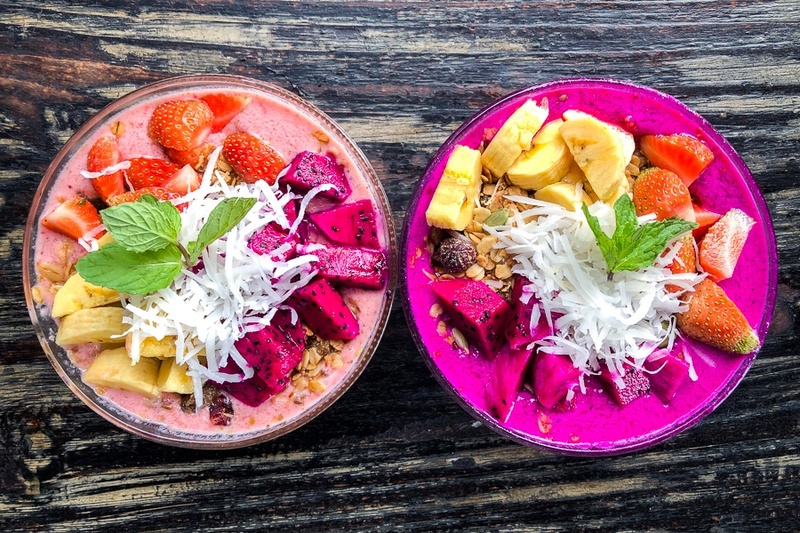 Their fruit smoothie bowls are dirt cheap! 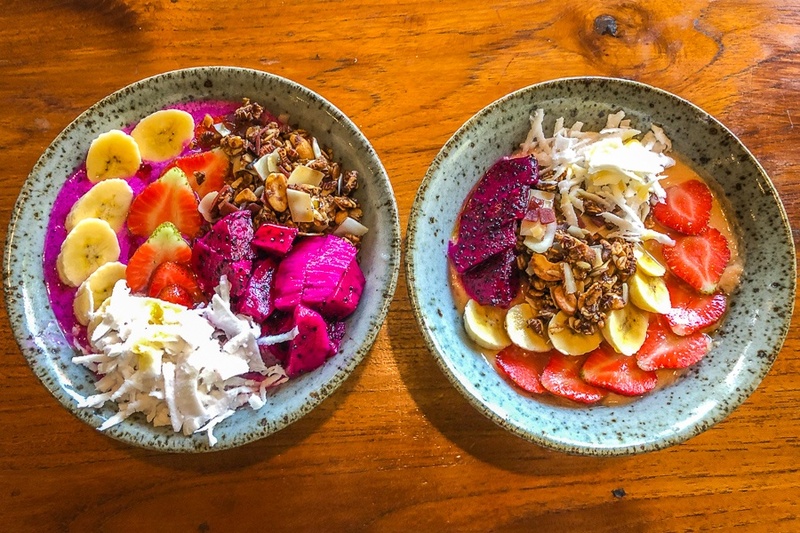 My favorite is the strawberry banana bowl (below left). This is an option in south Sanur. They also have a branch in north Sanur called Soul On The Beach. They normally don’t offer their smoothie bowls after breakfast (12 PM), but if you ask they may be able to break this rule like they did for me. This is my new favorite in the south Sanur area. Their prices are good, and so are their bowls! I hope they open more branches. 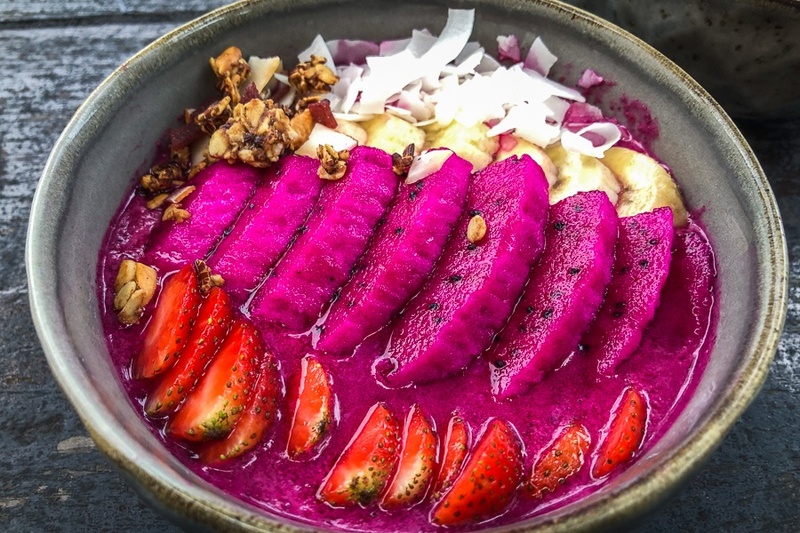 They have 4 types of smoothie bowls. 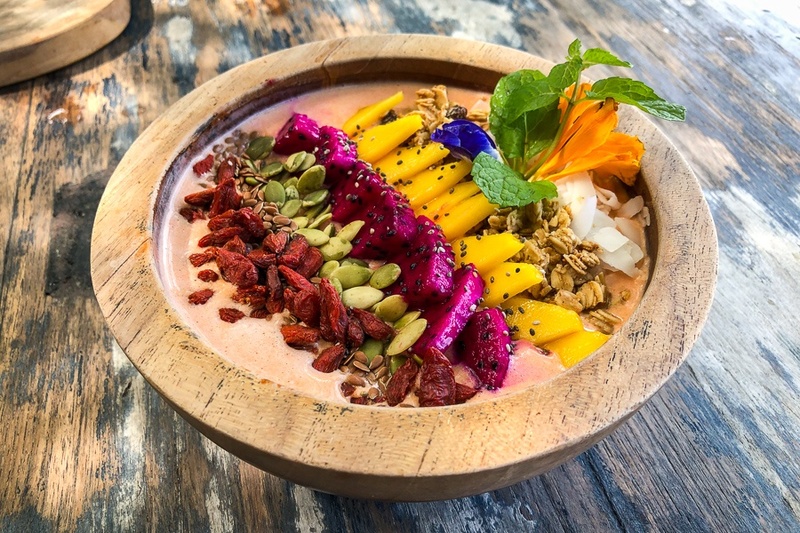 Finally, Nusa Penida has fruit smoothie bowls! Penida Colada is a restaurant on the north shore of the island, with epic views of Mount Agung from across the sea.